Cash and carry cabinets in Vancouver allow for DO IT YOURSELF cabinet installation. These pre-fabricated cabinets are easy to assemble and install yourself and can save you thousands of dollars in labour costs compared to hiring a cabinet installation company. If you’re looking for quality DIY cabinets that you can buy and take home in one day, start by contacting one of the companies that carry stock cabinets in Vancouver listed below. They have built a reputation for great customer service, superior products and can help you save money on your big kitchen or bathroom renovation. 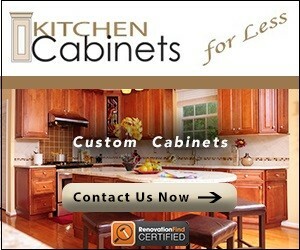 If you are looking for cabinets with more options trying searching our custom cabinetry companies . We know all about do-it-yourself. That's why we sell good cabinets, in stock.They are pre-assembled too, so you don't have to waste any time putting them together.